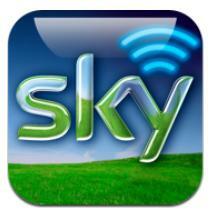 Sky Italia has decided to limit the use of the Sky Go service on mobile phones and tablets in an attempt to protect content from piracy. In an email sent to subscribers, the Italian pay-TV operator explained that, from now on, they will not be able to receive the Sky Go channels, except news channel Sky TG24, on smart phones and tablets that have been unlocked, by applying the procedures of ‘jailbreak’ (iPhone and iPad) and ‘rooting’ (Android). Sky Go allows Sky HD subscribers (€5 per month) to receive a selection of the contents from their package, including live TV channels and Serie A Italian football, on compatible devices. The service can be accessed only in Italy, San Marino and Vatican City State.